Today is National S'mores Day! To celebrate I made these awesome Reese's S'mores Turnovers. We both love graham crackers and peanut butter, so this was right up our alley! These s'mores are dangerous! I could have eaten the whole batch!! I used Reese's Giant Bar pieces inside the s'mores. I've never seen these before, and they were perfect for the turnovers! I topped the Reese's squares with mini marshmallows to complete the s'mores. These were really quick to put together - probably too quick and easy! Preheat oven to 400°F. Line baking sheet with parchment paper or spray with nonstick spray. Lay puff pastry on cutting board. Cut each piece of puff pastry on the three folds, creating 3 rectangles. 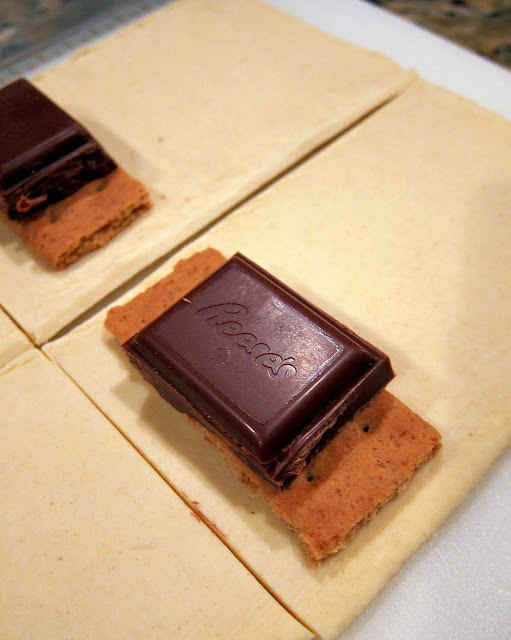 Cut each rectangle in half - making 6 rectangles per sheet of puff pastry. On one half of each rectangle layer graham cracker, peanut butter bar and top with 6 mini marshmallows. 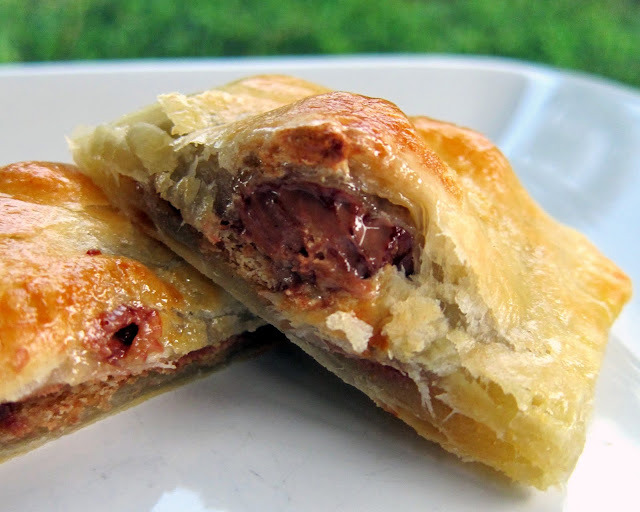 Working with one turnover at a time, fold puff pastry in half to meet opposite edges. Gently push edges together to stick; use fork to seal edges together and create ridged pattern. Repeat with each turnover until all are sealed up. Gently move sealed turnovers to baking sheet with a small spatula. 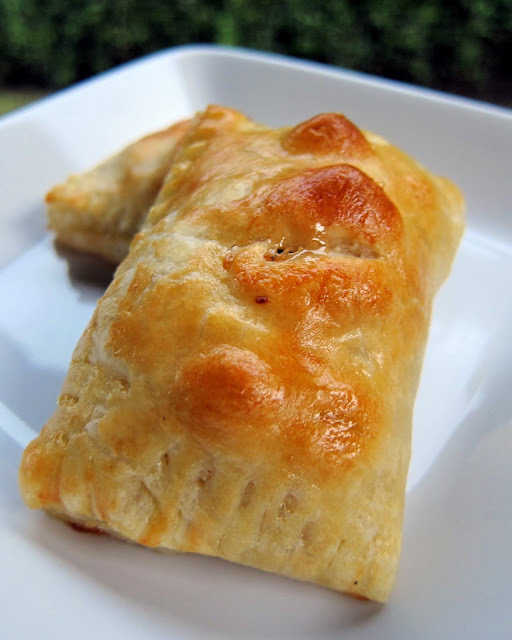 Brush turnovers lightly with egg wash, then use a sharp knife to cut two small slits into the top of each turnover. Bake 15 minutes, or until turnovers are puffed and golden. Remove from oven. Let cool for 5 minutes. Serve immediately. Oh man, looking at these makes me sorry I'm starting a diet soon! I have NEVER see these bars before. Where do you get REESES bars from?